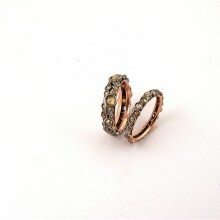 Wide ring: 18 carat gold (kt), pink, 4.00 grams (gr) and silver 925% (millesimi) 5.00 grams (gr). 17 diamonds fancy, rosè cut, total. Weight 2.22 carat (ct). 21 diamonds, brilliants cut, total weight 0.40. Size: 7.50 inches (Usa) | 14 mm (Italy). Codex: TIIO.SS. 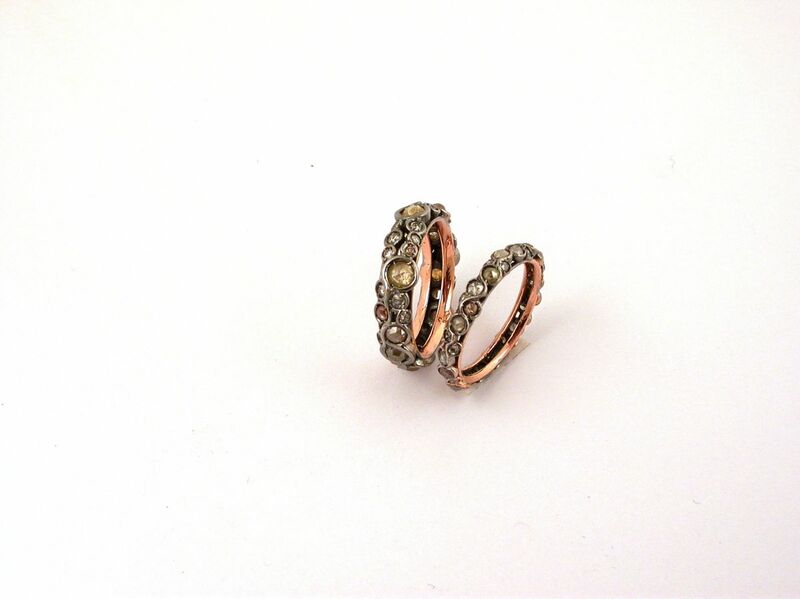 Small ring: 18 carat gold (Kt), pink, 3.00 grams (gr) and silver 925% (millesimi) 3.00 grams (gr). 17 diamomds fancy, rosè cut, total weight 0.83 carat (ct). 21 diamonds, brilliants cut, total weight 0.37. Size 7.50 inches (USA) | 14 mm (Italy). Codex: TMPT.SS.